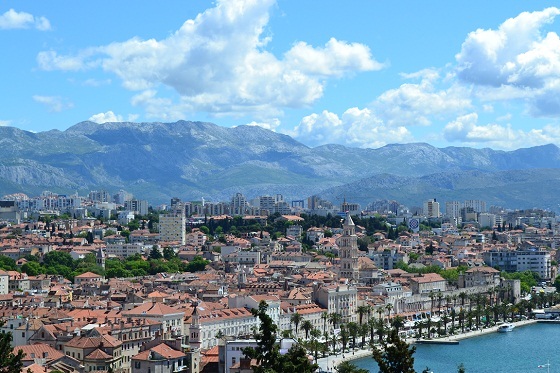 Split, Croatia, is a seaside metropolis where the Roman emperor Diocletian retired circa 305 AD. Nowadays, his former palace serves as a popular tourist destination . 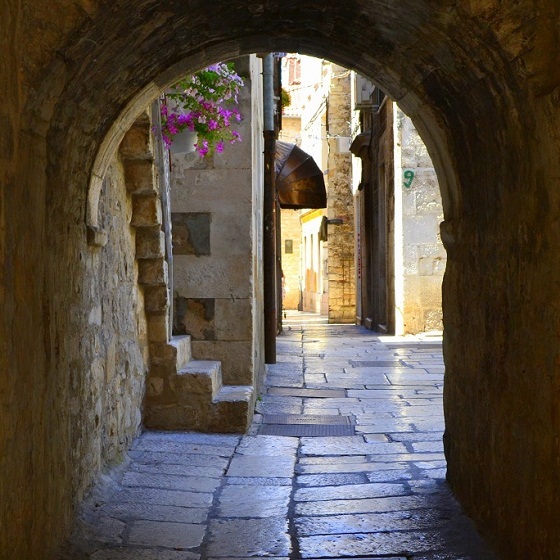 . .
Pictured here is one of the many archways leading into Diocletian’s Palace. Sidewalks cafes, giftshops, and tourists abound in this plaza, surrounded on all sides by the same buildings that once housed Diocletian’s family, noblemen, teems of servants, and presumably a large military force. 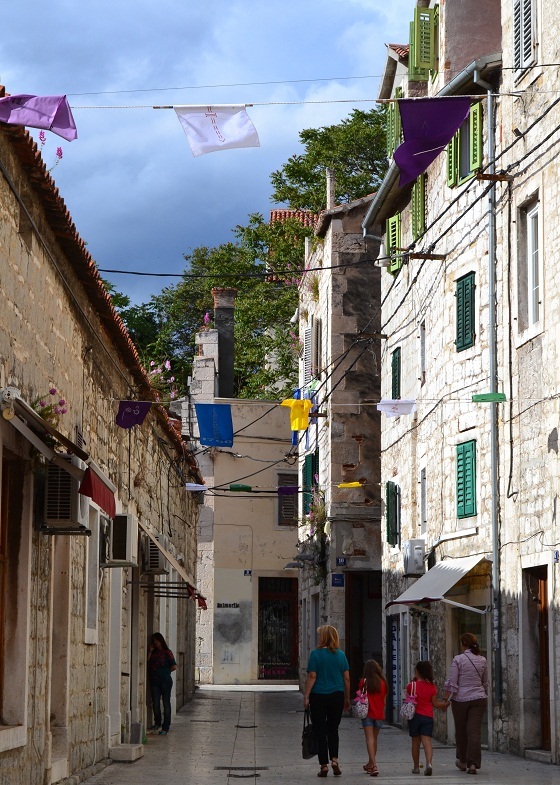 A few Croatian women stroll casually through a section of the palace which now serves as residential housing. 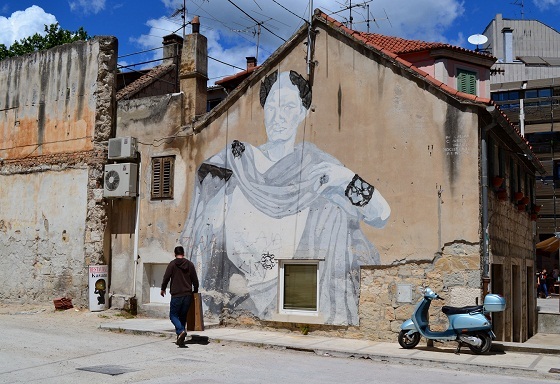 Just outside the palace walls, one finds this mural depicting the former Roman emperor. The juxtaposition of a motorized scooter in the foreground demonstrates precisely how ancient and modern elements coexist here in Split. Great minds think alike, I just published a photo of Dubrovnik. 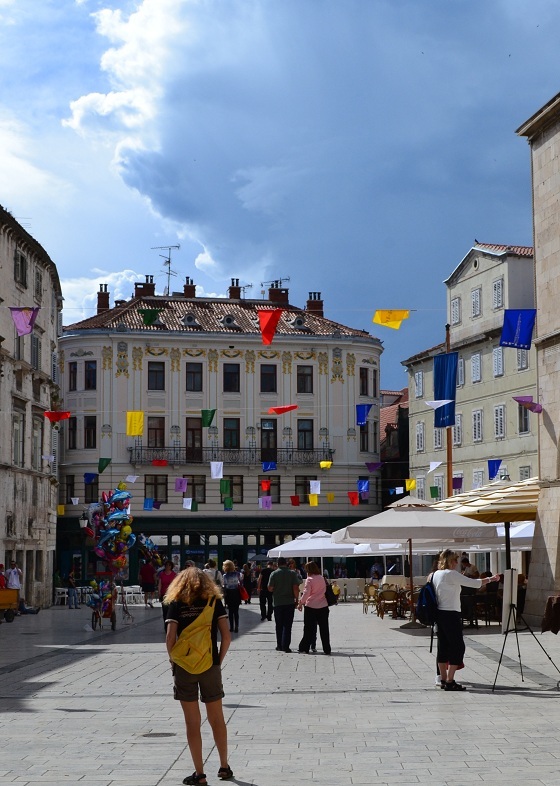 Love Croatia and cannot wait to return! Croatia is amazing. I hope to make it back there someday soon. Thanks for stopping by to leave a comment, Dani!